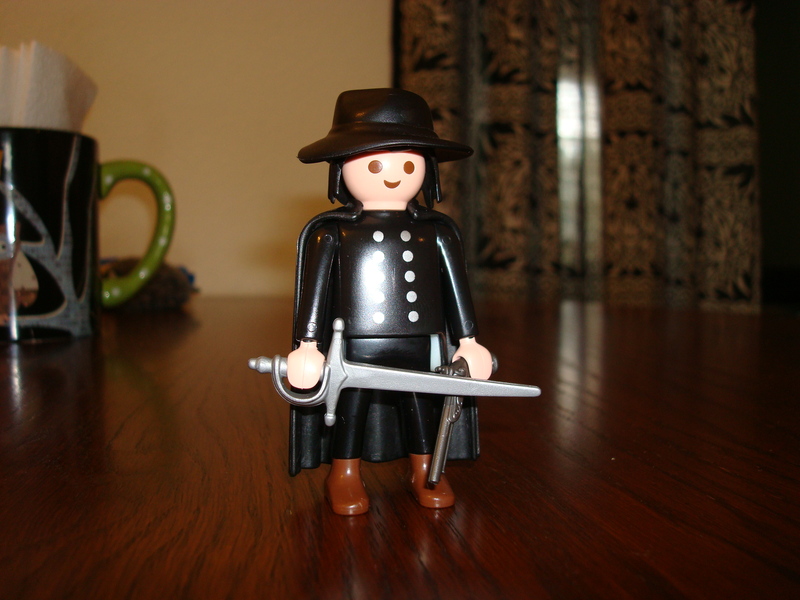 Playmobil Solomon Kane | Who Killed Orrin Grey? 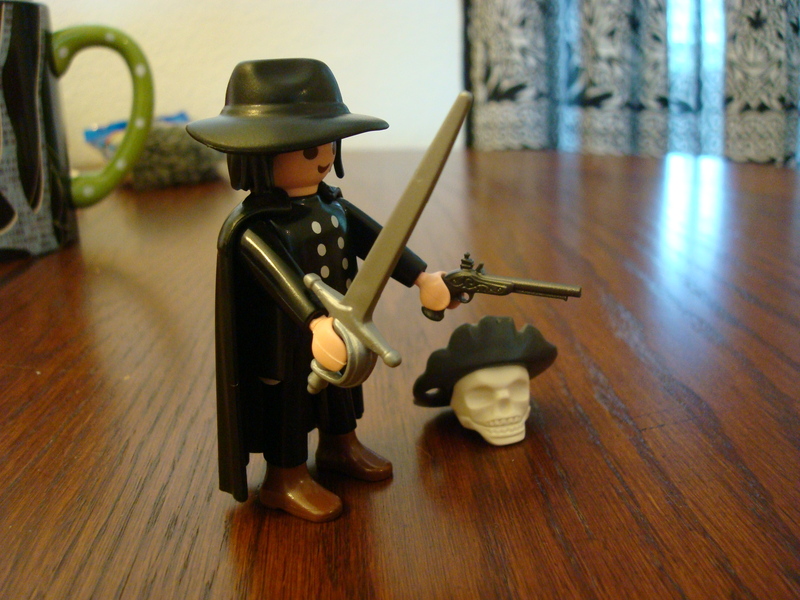 Those of you who follow me on Facebook or Google+ might remember me mentioning recently that the incredible Thomas Boatwright put together an awesome Playmobil conversion of Solomon Kane. 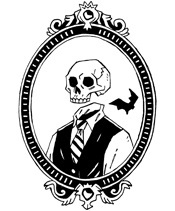 Well, he went ahead and sold the conversion, and I was lucky enough to be the one to buy it. 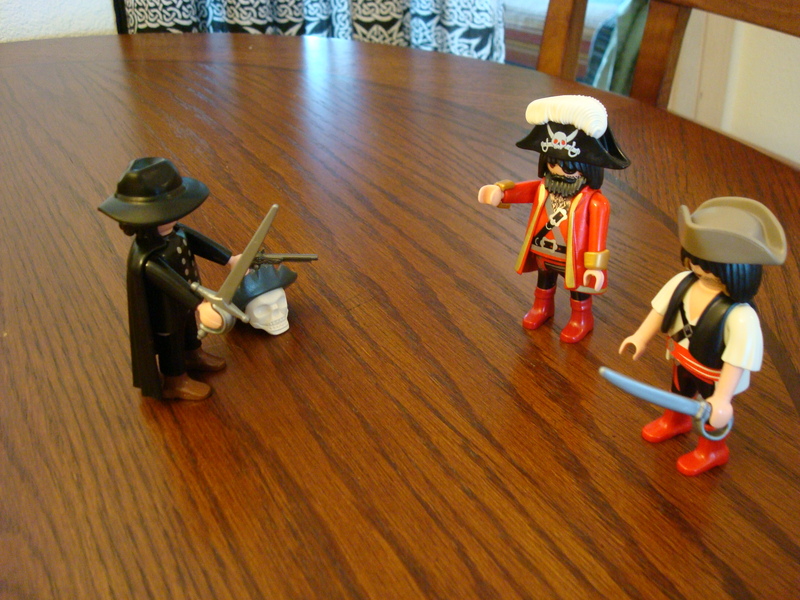 The package arrived yesterday, featuring not only Solomon Kane himself, but also a couple of pirates, a couple of Vikings, and an original sketch of Playmobil Solomon Kane, in all his glory. 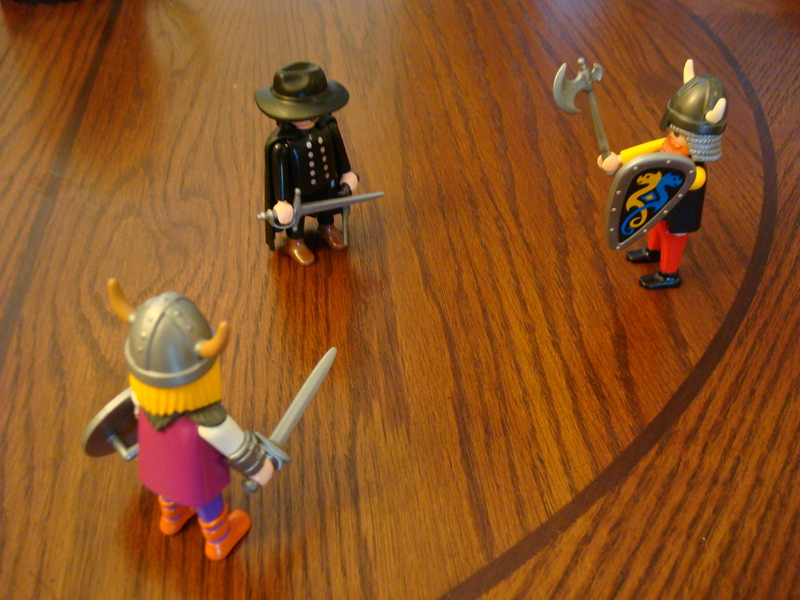 "... a strange blending of Puritan and Cavalier, with a touch of the ancient philosopher, and more than a touch of the pagan"
Solomon Kane faces down some Vikings! 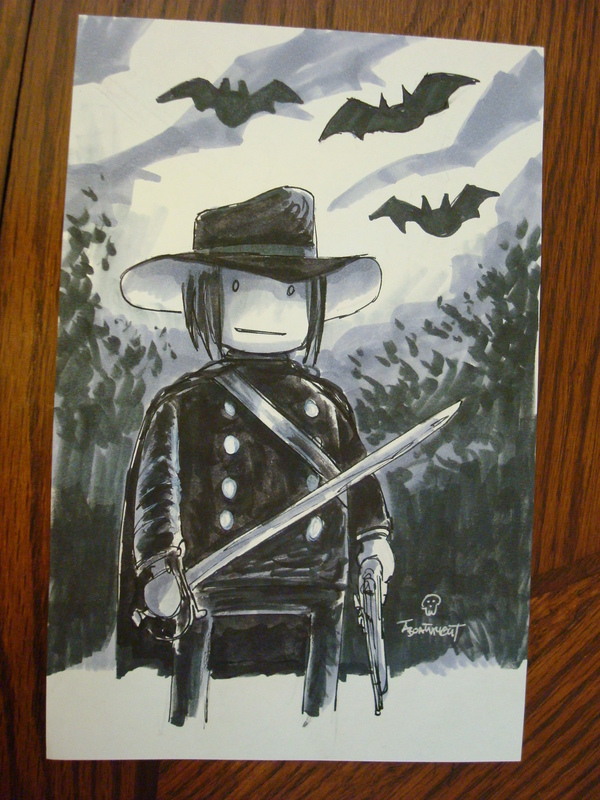 Solomon Kane: Scourge of Villainy!